Durham (2018) – “Dimensions” opening Friday, May 18th from 5-10pm. 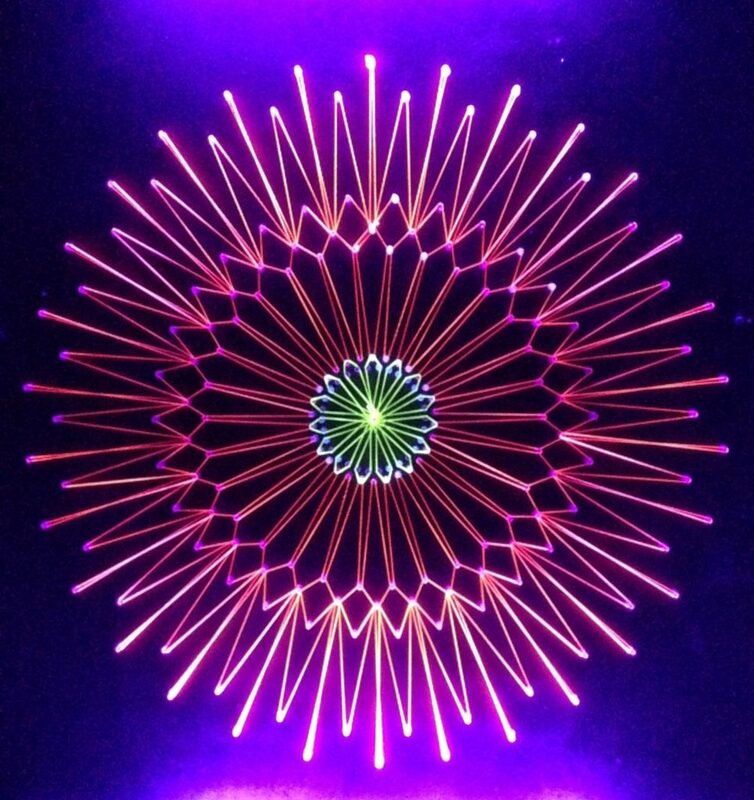 “Dimensions” features the work of local artists Jolie Day, Heather Gordon, and several artists from Ars Graita Legis (AGL) – Art for the Sake of Law. Heather Gordon’s experimental string works, created to celebrate Moogfest, investigate musical intervals found in crop circles and cathedrals. 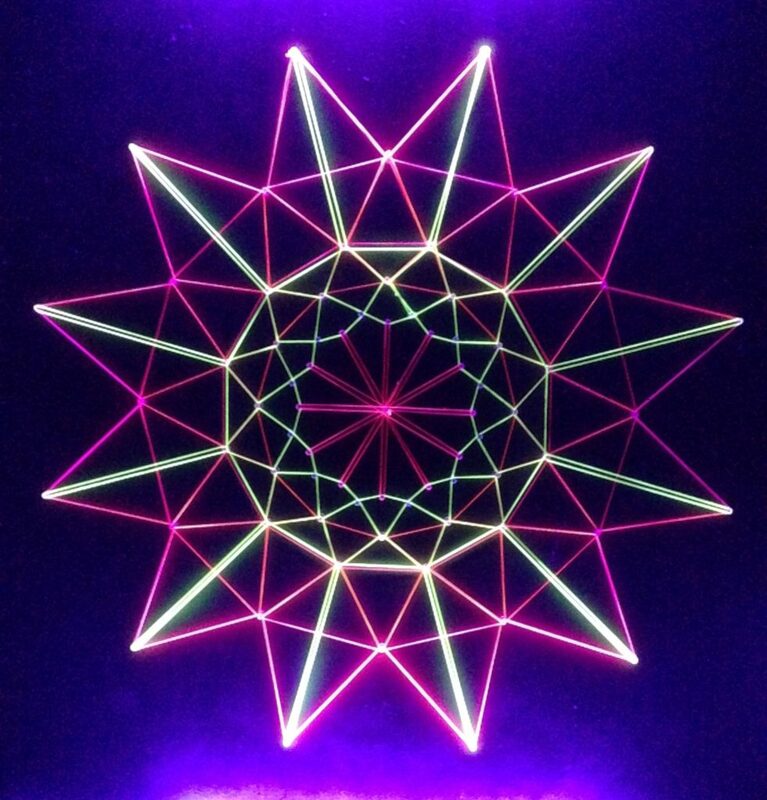 Her intricate glowing string art is a meditation on the symbiosis of geometry and sound.